If you follow us on instagram you saw that I was recently in Brazil! It was a perfect little adventure trip for Greg and I and we had the best time – more pictures to come soon! We try and travel as much as possible given our constraints (annual leave from work, money, the usual suspects) because at heart both of us like to think of ourselves as adventurers exploring the globe. 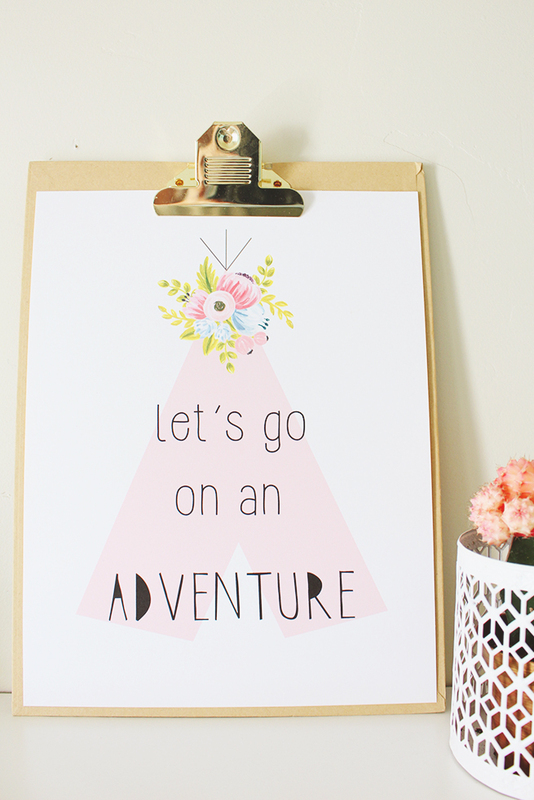 That is why I am a total sucker for adventure-themed decor and printables and why you now get an onslaught of them. 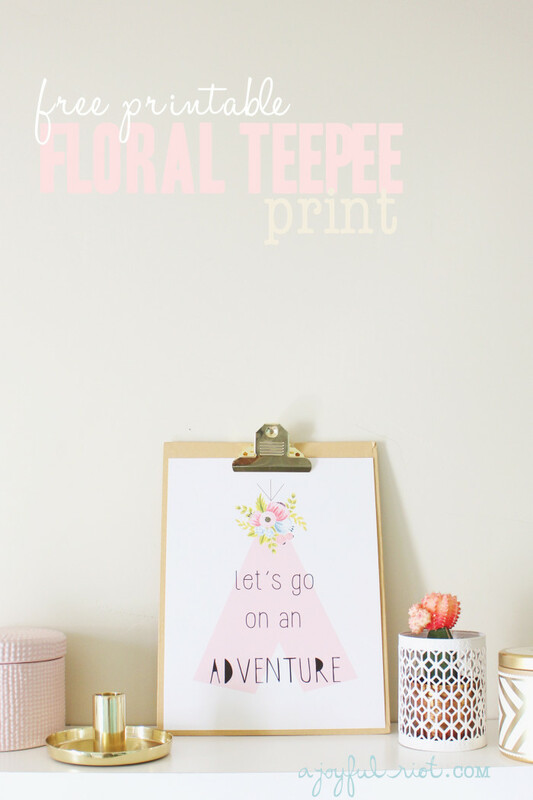 But seriously, what screams “adventure” more than a teepee in the wild? I’ve made this print available in 3 sizes, 4×6, 5×7 and 8×10 so it’s perfect for any space or even to send as a postcard from your current adventure! 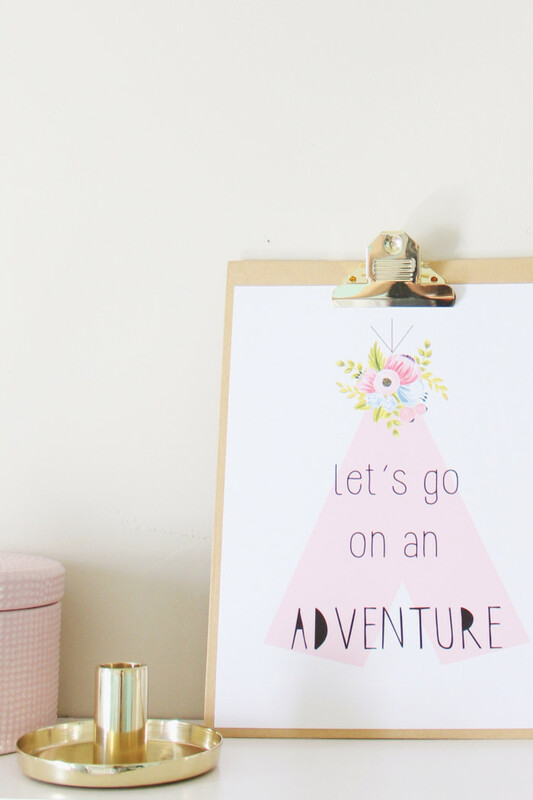 Download and print this out to remind yourself to take an adventure every once in awhile – whether it is an adventurous risk at work or in your personal life, a road trip, a long walk, or a trip across the globe! 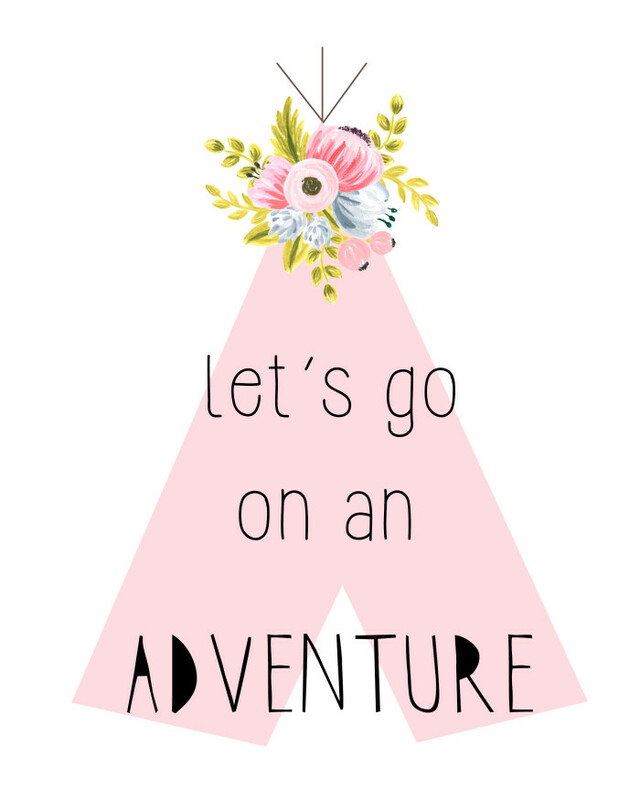 I am a firm believer than everyone needs to have a little adventure in their life.